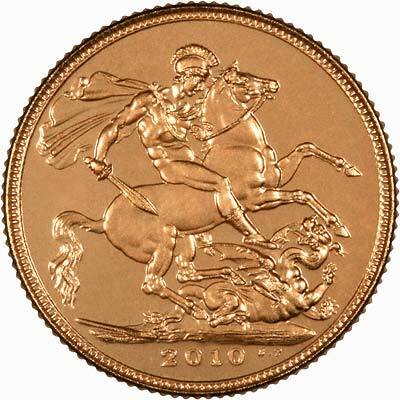 We received our first delivery of 2010 gold sovereigns in November 2009. 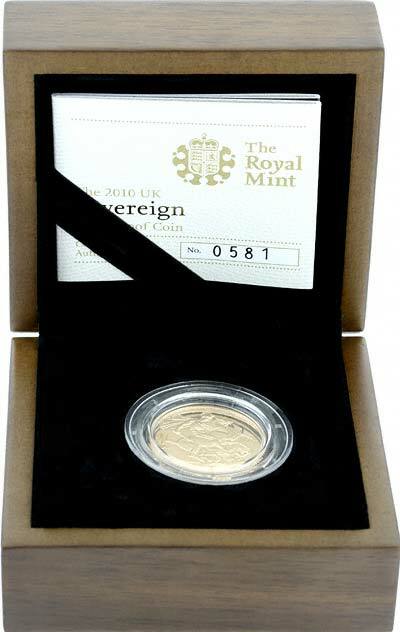 We can confidently predict a complete sell-out of the 2010 bullion sovereigns, although the Royal Mint's retail sales department "The Royal Mint Coin Club", will probably retain a quantity to support its direct sales operation. It is therefore quite likely that these will start to sell at an extra premium price. In 2009 after our initial 5,000 pieces, we placed a second 5,000 piece order, and also upped our provisional order to 1,000 pieces per week. 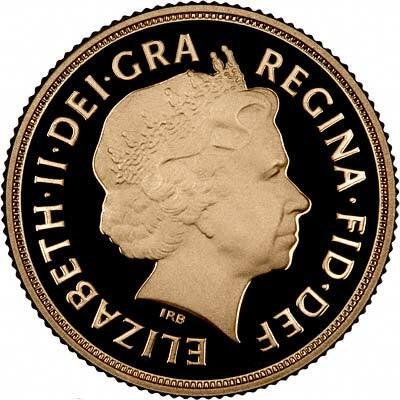 This would have meant that we alone would have taken about 50,000 of the 75,000 maximum mintage for the year. As it now stands, we are extremely unlikely to receive more than about 25,000 pieces, unless any other distributor fails to take up their allocation. 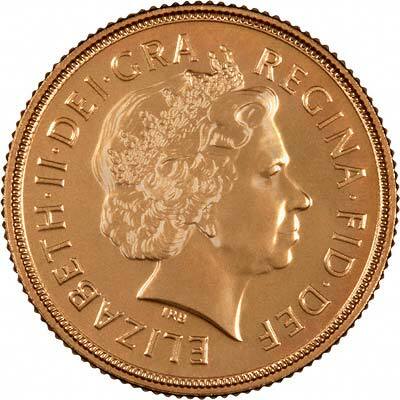 If you wish to order more than twenty five coins please telephone us as we should be able to offer you more competitive prices. 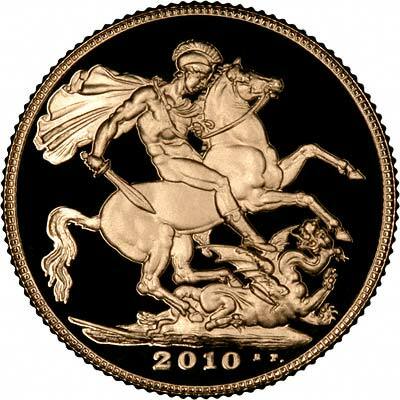 For 2010, the issue limit is a maximum of 75,000 uncirculated, the same as for recent years. The issue limit for the proof version will be 12,500, subject to confirmation.